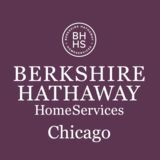 We are proud to be a part of the exclusive Who’s Who in Luxury Real Estate, a worldwide network of top brokers representing the finest luxury properties across the globe. KoenigRubloff was hand-selected to join a group of more than 130,000 professionals with properties in more than 70 countries collectively selling over $300 billion of real estate annually. It is the most elite and comprehensive luxury real estate network in the world. 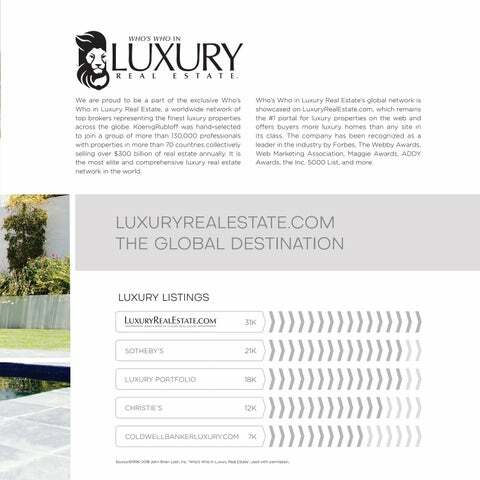 Who’s Who in Luxury Real Estate’s global network is showcased on LuxuryRealEstate.com, which remains the #1 portal for luxury properties on the web and offers buyers more luxury homes than any site in its class. The company has been recognized as a leader in the industry by Forbes, The Webby Awards, Web Marketing Association, Maggie Awards, ADDY Awards, the Inc. 5000 List, and more. Source:©1996-2018 John Brian Losh, Inc. ‘Who’s Who in Luxury Real Estate’, used with permission.